Carman, H.F. "The Estimated Impact of Bee Colony Collapse Disorder on Almond Pollination Fees." Agricultural and Resource Economics Update 14(5) (2011): 9-11. Carman, H.F. and R.J. Sexton. "Effective Marketing of Hass Avocados: The Impacts of Changing Trade Policy and Promotion/Information Programs." International Food and Agribusiness Management Review 14(4) (2011): 37-50. Carman, H.F. Economic Aspects of the California Nursery and Floral Industry, 2001–2009. Giannini Foundation Information Series No. 11-1. University of California Giannini Foundation of Agricultural Economics, Davis, CA, 2011. Carman, H.F., L. Li and R.J. Sexton. "Can Improved Market Information Benefit Both Producers and Consumers? Evidence from the Hass Avocado Board's Internet Information Program." Agricultural and Resource Economics Update 13(4) (2010): 5-8. Carman, H.F. "California Corporate Farms: Myth and Reality." Agricultural and Resource Economics Update 12(6) (2009): 9-11. Carman, H.F., L. Li and R.J. Sexton. An Economic Evaluation of the Hass Avocado Promotion Order's First Five Years. Giannini Foundation Research Report No. 351. University of California Giannini Foundation of Agricultural Economics, Davis, CA, 2009. Carman, H.F. and R.J. Sexton. "The 2007 Freeze: Tallying the Toll Two Months Later." Agricultural and Resource Economics Update 10(4) (2007): 5-8. Carman, H.F. "Discovering and Promoting Commodity Health Attributes: Programs and Issues." International Food and Agribusiness Management Review 10(2) (2007): 99-116. Carman, H.F. "Economic Impact for California's Horticulture Industry – 2007 Issue." California Nurseryscape 15(3) (2007): 16-19. Carman, H.F. "Marketing a Mediterranean Diet: Some Issues and Opportunities." Agricultural and Resource Economics Update 10(6) (2007): 5-8. Carman, H.F. "California Farmers Adapt Mandated Marketing Programs to the 21st Century." California Agriculture 61(4) (2007): 177-183. Carman, H.F. "California Green Industry Adds $20 Billion to State's Economy." California Nurseryscape 14(1) 2006): 20-21. Li, L., H.F. Carman, and R.J. Sexton. "Retailer Pricing Practices for Fresh Avocados." Agricultural and Resource Economics Update 10(1) (2006): 5-8. Carman, H.F. "Offsetting Price Impacts From Imports With Generic Advertising and Promotion Programs: The Hass Avocado Promotion And Research Order." Review of Agricultural Economics 28(4) (2006): 463-481. Carman, H.F. "Preventive Health Maintenance Information Brought to You by Your Local Fruit and Nut Producers." Choices 4th Quarter 21(4) 2006. Carman, H.F. "Eye on Economics: Dealing With Avocado Imports." Blueprints – The Produce Professionals' Quarterly Journal, Jan-Mar (2005): 72-75. Carman, H.F. and J.M. Alston. "California's Mandated Commodity Programs." Chapter 2 in The Economics of Commodity Promotion Programs: Lessons from California. Kaiser, H.M., J.M. Alston, J.M. Crespi, and R.J. Sexton, eds., Peter Lang Publishing, Inc., New York, 2005: 13-37. Alston, J.M., H.F. Carman, J.A. 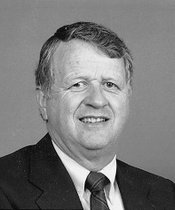 Chalfant, J.M. Crespi, and R.J. Sexton. "Evaluation of Prune Promotion by the California Prune Board." Chapter 6 in The Economics of Commodity Promotion Programs: Lessons from California. Kaiser, H.M., J.M. Alston, J.M. Crespi, and R.J. Sexton, eds., Peter Lang Publishing, Inc., New York, 2005: 109-136. Carman, H.F. and K. Craft. "Evaluation of Avocado Promotion by the California Avocado Commission." Chapter 7 in The Economics of Commodity Promotion Programs: Lessons from California. Kaiser, H.M., J.M. Alston, J.M. Crespi, and R.J. Sexton, eds., Peter Lang Publishing, Inc., New York, 2005: 137-166. Barrio O.S. and H.F. Carman. "Olive Oil: A 'Rediscovered' California Crop." Agricultural and Resource Economics Update 8(5) (2005): 1-4. Carman, H.F. and R.J. Sexton. "Supermarket Fluid Milk Pricing Practices in the Western United States." Agribusiness: An International Journal 21(4) (2005): 509-530. Carman, H.F. and K. Klonsky. "Organic Almond, Kiwifruit and Winter Pear Handlers' Views on Federal Marketing Order Programs." Renewable Agriculture and Food Systems 19(3) (2004): 176-184. Carman, H.F. and A.M. Rodriguez. Economic Contributions of The California Nursery Industry. Giannini Foundation Information Series No. 04-1, University of California Giannini Foundation of Agricultural Economics, Davis, CA, 2004. Carman, H.F., K.M. Klonsky, A. Beaujard, A.M. Rodriguez and T.Briz. "El sector ecologico en EE.UU: Caso de comercializacion de almendras, kiwis y peras de invierno." Chapter VII in Julian Briz, Coordinator, Agricultura Ecologica y Alimentacion: Analysis y funcionamiento de la cadena commercial de productos ecologicos. Fundacion Alfonso Martin Escudero: Madrid, Spain. Pp. 211-260, 2004. Carman, H.F. and K.M. Klonsky. "California Handlers Describe Marketing Issues for Organic Kiwifruit." California Agriculture 58(3) (2004): 169-75. Carman, H.F., K.M. Klonsky, A. Beaujard and A.M. Rodriguez. Marketing Order Impacts on the Organic Sector: Almonds, Kiwifruit and Winter Pears. Giannini Foundation Research Report No. 346, University of California Giannini Foundation of Agricultural Economics, Davis, CA, 2004. Carman, H.F., R. Cook and R.J. Sexton. "Marketing California's Agricultural Production." Chap. 4 in California Agriculture: Dimensions and Issues. Jerry Siebert, ed., Berkeley: Giannini Foundation of Agricultural Economics Information Series No. 03-1, University of California Giannini Foundation of Agricultural Economics, 2003: 89-119. Carman, H.F. "California Milk Marketing Margins." Journal of Food Distribution Research 29(3) (1998): 1-6. Carman, H.F. and K. Craft. An Economic Evaluation of California Avocado Industry Marketing Programs, 1961-1995. Giannini Foundation of Agricultural Economics Research Report No. 345, University of California Giannini Foundation of Agricultural Economics, Davis, CA, July 1998. Carman, H.F. U.S. Agricultural Response to Income Taxation, Ames, Iowa: Iowa State University Press, 1997. Lee, H., J.M. Alston, H.F. Carman and W. Sutton. Mandated Marketing Programs for California Commodities. Giannini Foundation Information Series No. 96-1, University of California Giannini Foundation of Agricultural Economics, Davis, CA, 1996. Carman, H.F. and R. Cook. "An Assessement of Potential Economic Impacts of Mexican Avocado Imports on the California Industry." Proceedings of the ISHS XIIIth International Symposium on Horticultural Economics. Leiden, the Netherlands: International Society for Horticultural Science, Aug. 1996: 227-234. J.M. Alston, H.F. Carman, J.E. Christian, J. Dorfman, J.R. Murua, and R.J. Sexton. Optimal Reserve and Export Policies for the California Almond Industry: Theory, Econometrics and Simulations. Giannini Foundation Monograph No. 42, University of California Giannini Foundation of Agricultural Economics, Davis, CA, 1995. Sexton, R.J., C.L. Kling, and H.F. Carman. "Market Integration, Efficiency of Arbitrage, and Imperfect Competition: Methodology and Application to U.S. Celery." American Journal of Agricultural Economics 73(3) (1991): 568-580. Carman, H.F. and D.H. Pick. "Orderly Marketing for Lemons: Who Benefits? " American Journal of Agricultural Economics 72(2) (1990): 346-357.